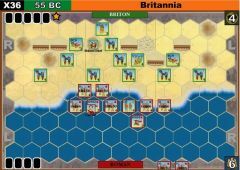 Following two years of successful campaigning, Caesar believed he had pacified southern and western Gaul and left for Illyria. 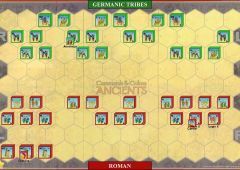 Sensing an opportunity, the Veneti and neighboring tribes on the Atlantic coast rebelled. 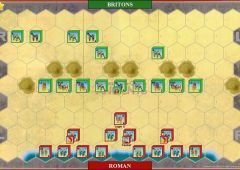 These coastal tribes had their own navy, so when Caesar returned, he had a Roman fleet built to subdue them. 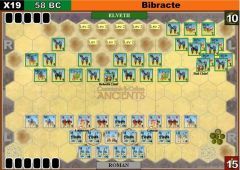 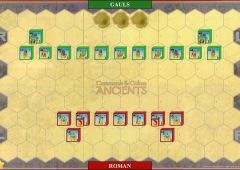 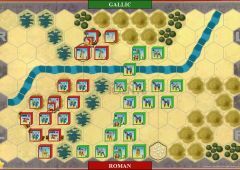 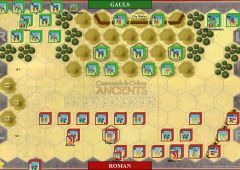 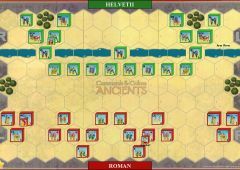 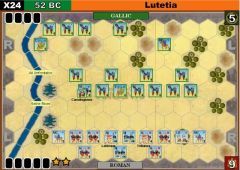 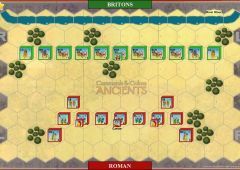 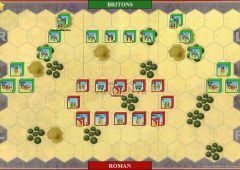 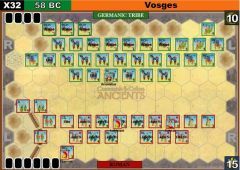 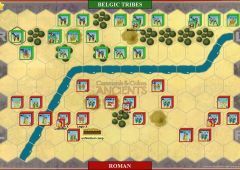 The Roman fleet won a decisive victory at Morbihan Bay. 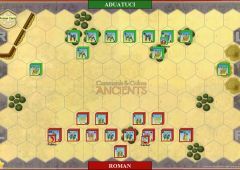 Meanwhile, to defeat the rebellion on land, Caesar detailed Publius Crassus (son of the great Marcus Licinius Crassus) to Aquitania to subdue the Sotiates, so that they could not aid the Veneti. 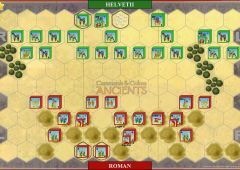 Adiatuanos, the King of the Sotiates, levied a large army, particularly strong in cavalry. 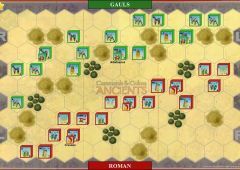 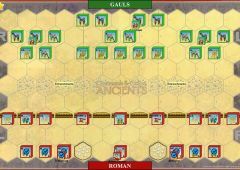 When Crassus was marching through their territory, he was attacked while still in column of march. 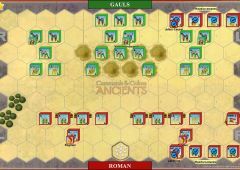 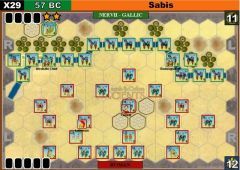 Adiatuanos first attacked with his cavalry. 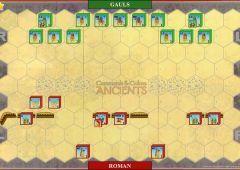 When they were repulsed, his concealed foot soldiers fell on the Roman column. 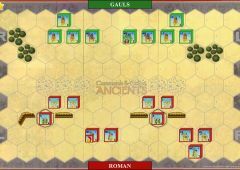 Only after a fierce struggle did the Sotiates break and flee back to the town of Sotium. 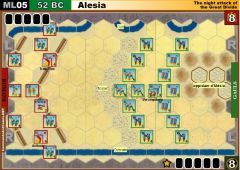 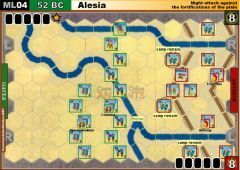 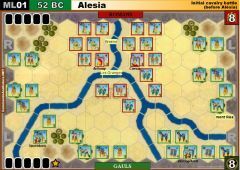 Crassus besieged the town and Adiatuanos and the inhabitants soon capitulated.